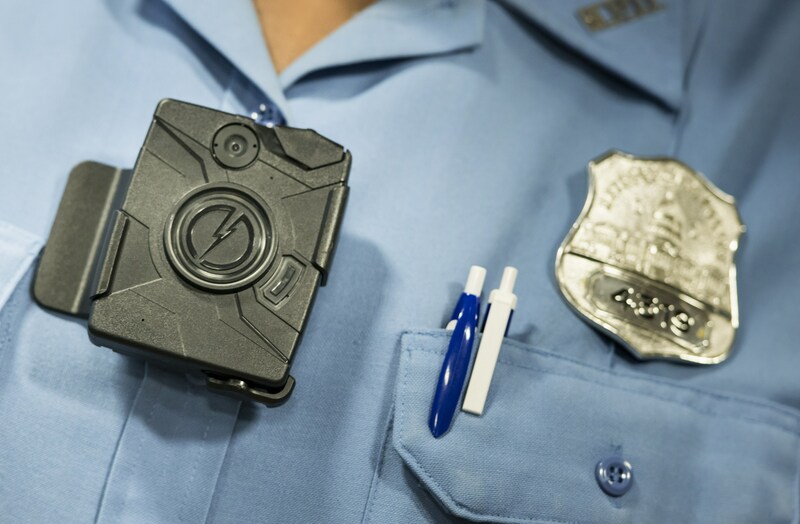 Tasers, body cameras, facial recognition technology - after a high-profile incident that brings policing practices into question, such as after Michael Brown's death in Ferguson, Mo., in 2014, you often hear officials or policymakers tout technologies as the solution. Reporter Matt Stroud wanted to know if they really work. He gives his answer to the question in his new book, "The Thin Blue Lie: The Failure Of High-Tech Policing" (ph). He joined me from member station WESA in Pittsburgh, and I started by asking him about that title, which includes that very powerful word, lie. And I asked him what made him arrive at the conclusion that these technologies don't do what they're supposed to do. 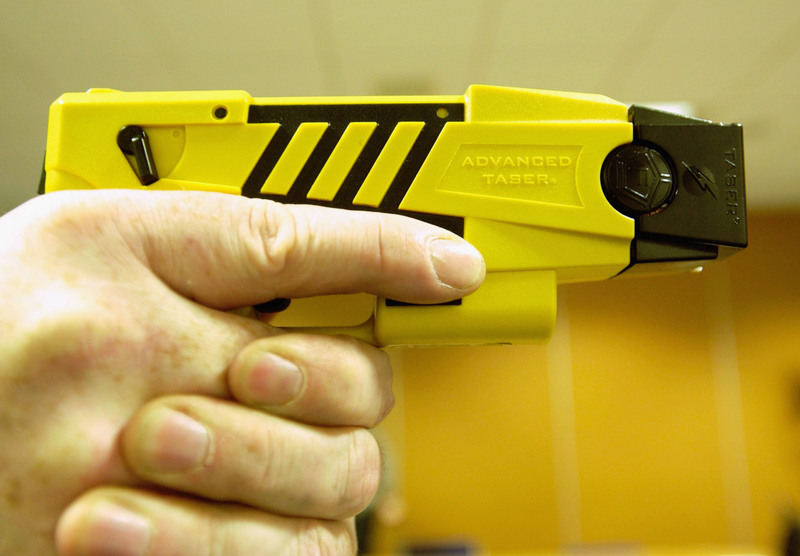 He started with a non-lethal weapon that has been used by police departments since the late 1970s - the Taser. MATT STROUD: They're sold as a way to get police officers to stop using firearms. And in circumstances where police officers feel that they are under lethal threat, they are still going to use firearms. The data has shown that Tasers do not reduce the number of firearms that are used on the streets, and they have been shown to be lethal. It's under much question. But you have somebody who's shocked, and then, shortly thereafter, they go into cardiac arrest - or, during the event itself, they go into cardiac arrest and die. MARTIN: And what about body cameras? I know that's become another discussion point for a number of departments. The argument is that they discipline the interactions of both parties. Both the police are more likely to be more respectful of the public and that the public is more likely to be respectful if they know that they're being filmed. What does the data show on that score? STROUD: The data that I've seen on that score - if you have limited studies - and there are limited studies that have been done by Taser International - they tend to show what you say. But independent studies have shown that they actually don't influence the way that police interact with anybody. When they were initially adopted, the premise was that when you have a controversial police interaction, that body camera footage is made public. And what has transpired as body cameras have been adopted by more and more police departments is that those police departments and government officials who want to appease those police departments have decided, no, we're not going to make that body camera footage public. We are going to withhold it and consider it evidence. So it never gets out. STROUD: Sure. I believe that was dashcam footage. MARTIN: Dashcam footage - not the same thing. STROUD: And yeah. Like I said, the video can be used for good. And that's why I think the premise of body camera footage is good. But where problems emerge is when government officials and police officials push back against making that footage public because that's the whole reason. The reason is to bring transparency to police interactions. And if government officials push against that, it goes against the entire premise. STROUD: Absolutely. That's a great word for it. MARTIN: And that you say that there's - these kinds of - these techniques have never really been implemented because they were deemed to be too expensive. But you also point out that technology is expensive. The police departments spend a huge amount on these technologies that you say don't work. So what - my question to you is, why do you think these techniques have not gotten more traction? STROUD: Because they're complicated. If you had a situation - you brought up Laquan McDonald, right? So that video emerges. People are very upset, as they should be, about the interaction that occurs and the police officers' role - I mean, just a horrendous situation. And then Rahm Emanuel has to come up with something to tell the public. Is Rahm Emanuel's response to that going to be, we're going to completely change the way that police do their job? We're going to invest in social workers. We're going to take a more humanistic approach to the way that police do their job. Or is it easier for him to say, listen - we have a very simple solution that we can institute right now. We're going to spend $5 million and make sure that everybody has a non-lethal weapon on their duty belt, a Taser. And we're going to invest, you know, millions dollars more - millions of dollars more so that every police officer has a body camera, and all of the interactions will be transparent from now on. That is a solution that is concrete, that can happen right now and that he can invest in. He has the budget to do it. And so I think that since you have politicians that are making these decisions, they want to make a quick solution, and they want to make it happen right now. And so that's what they end up doing. And they have done this for decades. That's part of what the book shows, is that they go for the simple solution all the time. MARTIN: ...Wondered if you had any reporting on what would make them not like them. STROUD: One of the main sources that I have - and he's cited in the book - is a gentleman by the name of Matt Masters. He's a SWAT officer, and he didn't start to see Tasers as not a good thing until his son was shot and nearly killed with a Taser. And he as a result of that started doing more digging into the history of Tasers and getting into all of the data that I report on in the book. And he started to understand, and he started to feel empathy for other people. And so he is the optimal - you know, for tragic reasons the optimal example of the kind of police officer who could help to institute this kind of change because he's been through it himself. MARTIN: That's Matt Stroud. His book is "The Thin Blue Lie: The Failure Of High-Tech Policing" (ph). And he was with us from WESA in Pittsburgh. Matt Stroud, thanks so much for talking to us. STROUD: Thank you so much for having me. Transcript provided by NPR, Copyright NPR.